Did you know Cinderella is alive and well and working at Disney World in Orlando, Florida? True! How do I know? I'm sitting on a bench waiting for the parade down Main Street to begin. Suddenly, a very determined, very beautiful young woman starts walking rapidly toward me. She is wearing the ball gown costume of Cinderella. me – Good Morning, my dear. You make a lovely, authentic-looking Cinderella. me – I do apologize. Have we met? Cinderella – Not in person but my BFF, Snow White, thinks the world of you and suggested I look you up. Snow told me you possessed the supernatural ability to interview deceased celebrities and weird animals as well as fairy tale heroines. Do you know my background? me – Only what I have read in the fairy tales. Cinderella – Fairy tales, shmairy tales. Do you want to know the real Cinderella story? 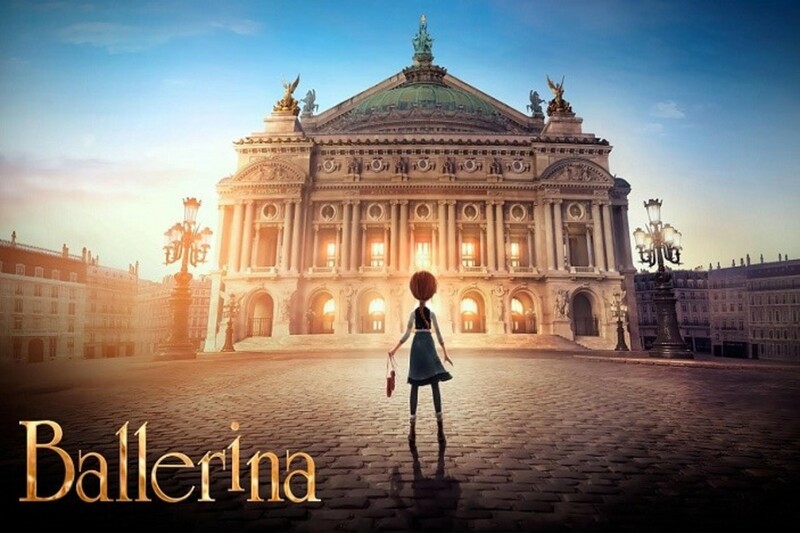 me – Whatever you care to share, Cinderella. Cinderella – You can call me Cindy. It all began when my beloved mother died and my father, a wealthy aristocrat, was so lonely he went online to search for a good woman to marry. He found "Bachelorette" and "The Dating Game" but they turned out to be merely television programs. You look surprised. me – I'm still trying to handle the 'online' and the ‘television.’ You had the Internet and TV in your kingdom? So here is my lonely father moping around on his estate 24/7 and becoming lonelier and more miserable each day. Finally, his best buddy, Sir Dancelot, took pity on him and introduced him to a well known matchmaker, Barbra Streisand. me – Wait a minute! Streisand is a famous American singer and movie star. Cindy – Right! Remember what a. great matchmaker she was in the film, "Hello, Dolly”? 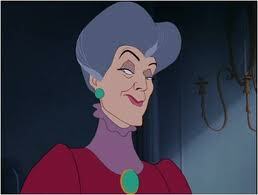 She introduced my father to an elegant but selfish widow, Lady Tremaine. He fell in love and made her his wife. She really did a number on him. Cindy – She was a smart cookie. 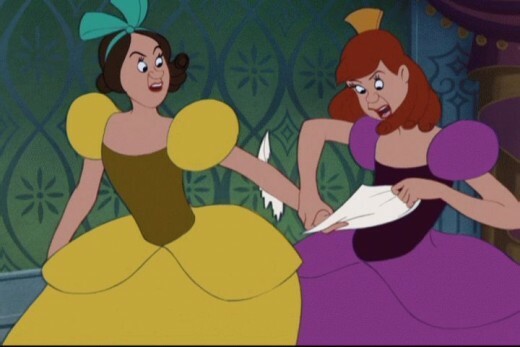 She had two daughters by her late husband, Drizella and Anastasia. They were both rather plain-looking and socially inept. 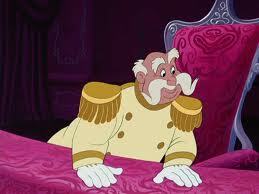 me – You say your two step-sisters were plain-looking. How unattractive were they? Cindy – I'll give you a clue. Dizzyella, I mean Drizella, looked like the rear end of a horse – on a good day. And Anaconda, oops! Anastasia, had a face like a constipated platypus. I was as beautiful then as I am today – natural, sweet, and unaffected. 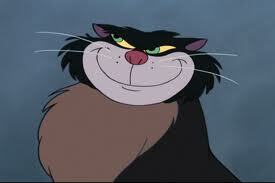 Of course, they were extremely jealous of humble, beautiful me. (Smiles shyly). While my father was alive my stepmother treated me like her own two daughters. me – When did that change? Cindy – My father was killed in a fall from his horse and my stepmother reverted to her mean, selfish self. She took away my beautiful clothes, gave me old smocks and aprons to wear, and wooden shoes. I became her own personal drudge. If there was a nasty job to be done, I was the one to do it. I had to get up before daybreak, carry water, clean, cook, and wash the clothes, feed the animals, and tend the fireplaces. That's how I got my name, Cinderella, from being covered with cinders all day. And I got no help at all from my stepsisters. me – Why were they so mean to you? Cindy – They were simply treating me as a gopher the way their mother did. Cindy – You know, gopher this, gopher that, all day long. And there was no proper bedroom for me. I had a cubbyhole with a bed in the attic. Do you know what I had for dinner every night? Spamm! 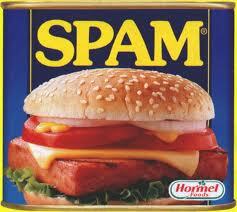 me – I didn't know Spam was available then. Cindy – No, not Spam. It was S.P.A.M.M. – Smashed Potatoes And Mole Meatloaf. me – I don't believe I've ever had the pleasure of eating mole. Cindy – Trust me, it's no pleasure! me – How dreadful your childhood must have been! Cindy – It was the pits! But I was determined to survive and reclaim my father's estate one day. My fairy godmother helped keep me strong with her advice and the powerful lyrics to her song. me – Was she an imaginary friend? Cindy – Gloria Gaynor? Of course not, she was real. But I was the only one who could see her. I never told my step-family about her – only my best friend, Snow White. me – How did you manage to change your life? Cindy – Our king decided to give a Super Ball. He invited all the eligible young women in the kingdom to attend so his handsome son, Prince Charming, could find a suitable maiden to marry. me – Were your step-sisters excited about this event? Cindy – Excited isn't a strong enough word. They went ballistic and became genuine fashionista – ball gowns from Balenciaga, jewelry from Cartier, Manolo Blahnik shoes – the works! I asked my stepmother if I could also attend the ball. Me – Did she agree? Cindy – Yes, but she wouldn't get me a ball gown. 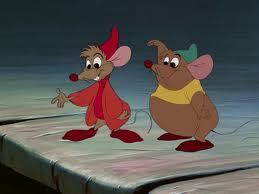 So my two mice friends, Jaq and Gus, restored an old gown that had once belonged to my mother. They added scraps and pieces from old dresses my stepsisters had worn. 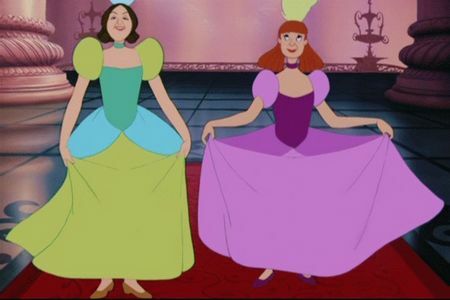 But my two evil, jealous stepsisters destroyed it and left for the ball without me. Even though they were wearing beautiful ball gowns, they were still ugly! me – How ugly were they? Cindy – They were so ugly that when they were small and played in the sandbox, their cat, Lucifer, tried to cover them up! me – If I'm not mistaken, m'dear, that's a one-liner joke from Rodney Dangerfield, and he got it from Henny Youngman. Cindy – That's right. And Henny got it from me! Cindy – I was miserably unhappy when my step-family left. Then my Fairy Godmother appeared and transformed the rags I was wearing into an unbelievably beautiful ball gown complete with glass slippers. 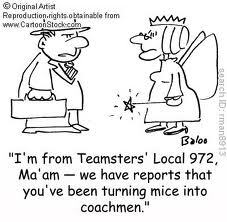 Like David Copperfield, she created magic by changing a pumpkin into a coach and my pet mice became handsome coachmen. me – What happened when you reached the ball? Cindy – No one recognized me. Everyone thought I was some sort of rich foreign princess. 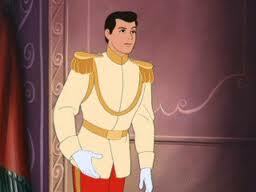 Prince Charming fell in love with me at first sight as I with him, and we danced together all night. Until midnight, that is. My Fairy Godmother had warned me to leave before twelve when everything would change back to the way it had been before. me – And . . .
Cindy – That's exactly what happened. My ball gown disintegrated and I was wearing my shabby, plain rags again, holding a large pumpkin with my pet mice running after me. I escaped but lost one of my beautiful glass slippers. me – I hope this tender love story doesn't end there. Cindy – The King proclaimed that the Grand Duke would visit every household in the kingdom to find the maiden whose foot fit that slim glass slipper that my prince had found. Before he reached our place, my wicked stepmother locked me in the attic. me – Why? Did she suspect that you were that beautiful foreign princess from the previous evening? Cindy – Yes, she heard me humming a bit of music that had been played at the Ball the evening before. And she put three and three together. me – You mean two and two. Cindy – Whatever! When the Grand Duke arrived, my stepsisters fell all over themselves trying to fit their large, ugly calloused feet into that dainty glass slipper. My stepmother tried, too. I could hear the entire farce from my cubbyhole in the attic. The Grand Duke inquired if there were another daughter on the premises and my stepmother lied through her teeth and said, No! What treachery! I yelled down through a chink in the attic floor, "I'm Cinderella and I would like to try on the glass slipper." I escaped from the attic with the help of my mice buddies. My stepmother was so furious I thought she would have a stroke. me – I know the slipper fit. Were you still dressed in rags? Cindy – The moment I tried on the slipper which fit perfectly, I was transformed from those rags into that beautiful ball gown I had worn at the ball. Prince Charming was ecstatic that he had found me and we were married. me – And lived happily ever after? Cindy – That only happens in fairy tales. This is the real world and taxes on our homestead are now so high I had to take this job at Disney World. Have to go now and pose with all the little kiddies. Thanks for listening to my story. me – Thank you, Cindy, it was entirely my pleasure. Footnote: Walt Disney’s animated movie, “Cinderella” (1950), has been rated G for children. Fortunately for the little ones, he did not include the original ending of this charming tale written by the Brothers Grimm. In their version, the evil stepsisters were punished with blindness (eyes pecked out by pigeons). 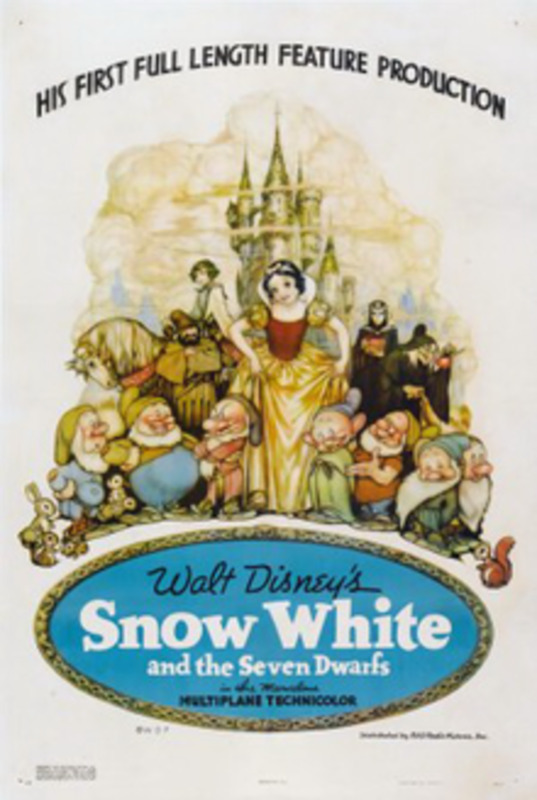 Did the Seven Dwarfs live happily ever after like Snow White? Get the facts from their psychologist. Are you surprised that I can interview Mickey Mouse ... the famous international film star who happens to be an anthropomorphic celluloid rodent brought into the world by his creator, Walt Disney? Thanks for finding and enjoying this interview with Cindy, KKGals. Yes, sometimes there are sweet storybook endings in real life, too. Cindy is a great hostess - very outgoing, beautiful and talented. Thanks for the Up and funny, m'dear. Another great interview. I'm happy to hear that Cindy was able to get a job at Disney using her talents. I guess reality does find it's way into fairy tales. Up and funny. Hi, precy. Happy you enjoyed this hub from the start! So you were giggling by yourself when you started to read this last night? Hope all that merriment didn't keep you from falling asleep. No thanks are necessary. Making you laugh, believe me, is my pleasure. Hi, khmohsin. Do hope that you are no longer scared by the Cinderella story. She was the heroine. It was her nasty stepmother and ugly stepsisters that were the villains. Now you have the real story. Thanks for the visit and the Up vote, too. Nice to meet you, Relationshipc. Thanks for finding this tale a 'creatively smart idea.' And loving the ending. It's nice to have a happy ending for Cinderella since she was so dreadfully mistreated by her mean stepsisters and stepmother. How wonderful, Docmo, that you visited Orlando. Did you happen to meet Cinderella there in Disney World as I did? You will find she is even more beautiful and engaging in person. Yes, the original Cinderella fairytale in Grimm's series was much too gruesome for young readers to my way of thinking. Like the two ugly stepsisters mutilating their feet to fit into the glass slipper. And pigeons poking out their eyes at the end of the story. So happy, Princessa, that you had a hilarious good laugh. And thanks for finding this even more than funny. Your cat may have been peeved that you were not sharing the laughter with her. You can make up with her easily. Just tell her I'll be happy to interview her when she becomes famous. Cinderella always scared me but I also want that If I met her in some way and take the real one feedback from her about the people she thinks about. What a creatively smart idea! Love this. I can't believe there are so many 'ugly' people in the world like Cindy's stepsister's and stepmother. Love the ending. Dear Drbj, as your scintillating series continues to delight the readers, I am duly excited, having arrived in Orlando yesterday. 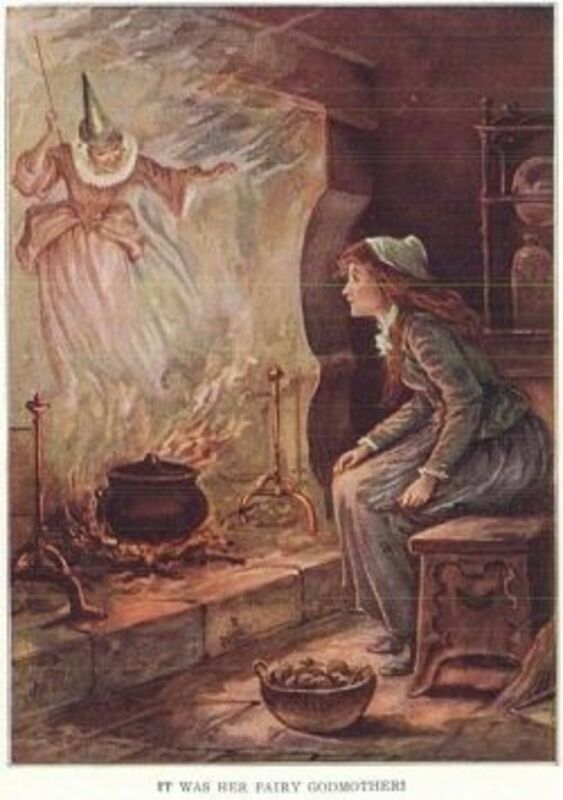 The cause of this excitement comes,thanks to you, in knowing that the real Cinderella is alive and well so I shall wait with my eyes peeled looking out for this wonderful celebrity from the Grimm's fairy tales. I do remember the original ending considerably bloody.. Not only did the ugly sisters get their orbits gouged, they also tried to chop off their toes in order to fit the shoe. Well, I don't blame them, if it means getting married to a prince what chance oes a little toe have, eh? Thank you so much for a good laugh, this was hilarious. I had the cat sitting on a corner staring at me with a scared look, I wonder what was she thinking. If she ever grows up to be a famous cat star I call you to interview her. Voted funny, but honestly, it was more than that! Thank you, Acaetnna, for 'loving' these 'awesome' interviews. I admire your perspicacity and discernment. A thousand pardons, nicomp, for not responding sooner to your insightful comments. Delighted to have provided a more multi-dimensional view of Cindy. As for the, as you so delicately put it, 'sight-impaired' evil step-sisters, they expired of malnutrition soon after the unepected 'pigeon-pecking-pupil' calamity. Seems they could not find the food pantry and their evil stepmother had eloped ... with Tom Cruise. This is so awesome., I just love these hubs. Cinderella always seemed very two-dimensional to me. Now we all know better. The sight-impaired evil step-sisters could have applied for SSI and gotten a companion dog. Another interview, perhaps? I'm happy, izettle, that you noticed that Cindy did indeed have a personality - though she may not have shown it before. Do hope this new information does not shatter any Cinderella-illusions held by your 4-year old. Then again, she is probably wiser than me. Thanks for dropping by - glad I could provide some laughs. Hi, Sally. What a thrill to be able to provide catharsis for you through the medium of the Cinderella videos. I, too, viewed the animated film long ago but still delight in watching those videos again myself. Thank you, m'dear, for the visit and the sharing of some personal recollections. And your very kind comments. Haha...made me laugh out loud. You actually portrayed Cinderella to have a personality. I never knew she had one!! I can't say much more than this was a really well thought out hub and I am an expert on cinderella- having a 4yr old daughter automatically qualifies me an expert. You outdid yourself with this one, drbj, or maybe you outdid me. I started reading your interview with Cinderella about two weeks ago, but could never finish in one or even many sessions...because of the videos. I bawled my eyes out over nearly every one of them! Later, I realized that I had not seen the entire film since I was a child, which was a LONG time ago. Apparently, a catharsis of some description was in order and the timing was right for it. Well, only once I got past my video trauma could I truly enjoy the interview. The Rodney/Henny bit especially cracked me up. I'd say this interview package was an emotional cleansing of the highest order. And yes, I did make an appointment with my therapist. :D Thanks for another of your awesome reads. Hi, Qudsia - thanks for the visit and the gracious remarks ... " incredibly realistic and unbelievablly awesome" are two of my favorite comments. How did you know? Yes, nicomp, Cinderella had a very bad time of it growing up and mole was on her dinner menu almost every night. To this day she cannot look a mole in the face. And if it's a star-nosed mole (see "Weird Animals - the Star-nosed Mole"), she cannot tell which end IS the face! I knew somehow, Kelly, that you were, like me, a fan of fairy tales. We didn't have computers when I was little but we did have a library nearby and I read every single book - I swear - on fairy tales. 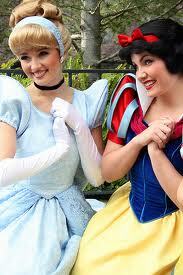 And Snow White and Cindy were two of my favorites along with Red Riding Hood and Rapunzel. The SPAMM, since you inquired, was genuine mole as in the burrowing animal. Mexican mole was not available in the kingdom. The videos sometimes remain white when you click on them, and you have to click again to get them started. See if that works for you. Otherwise Charter will feel my wrath. Promise. Thanks, m'luv, for the up and awesome! Thank you, Red Elf, for stopping by and your comments. You can rest assured I will try not to let my pen run dry . . . although I must admit, some days I forget which end of my ballpoint pen to click! Just joshin', of course. So happy, Mary, that you enjoyed reading this and watching the videos. Cinderella seem to be universally known and loved. If your youngest daughter played that role at Disney, then she must be extraordinarily beautiful and charismatic because all the Disney 'princesses' are chosen for those characteristics above all others. Oh, well, I already knew that your daughter was special. After all, you are her mother. 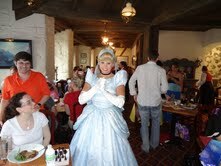 Hi, Rosemary, thanks for loving this Cinderella interview and your sweet comments as well as the UP and awesome. That Lucifer was a sly one. You are so right about the original ending - it was just too grim for the kiddies. But most of the Grimm Fairy Tales do have rather grim and gruesome endings. Guess that was the only way they thought they could make a point. Not my style! Yes, b., Cindy could have written the lyrics for Gaynor's song, "I Will Survive." She knows that down deep, you understand her predicament. Thanks for all the superlative adjectives, m'luv. They made here eat MOLE??? That will make you mad at the world. No amount of princes could make that better. 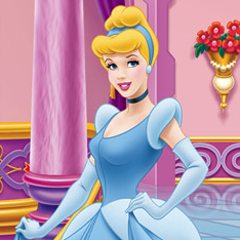 Drbj - I loved the Cinderella book and movie when I was little! Snow White too! Another fine article for the doctor! May your pen never run dry! This was so fun to read and watch the videos! Cinderella is one of my favorite characters. My youngest daughter played her at Disney in Orlando when she was in college there. I had a good excuse for going there often. Loved this delightful, witty and humerous interview with the true Cinderella. The comment on Lucifer the cat crack had in stitches. 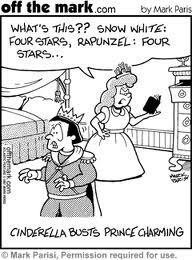 Thank goodness the original ending was not included in the fairy tale, that would have just ruined it. This is one of your BEST Drbj...It's Funny, actually Hilarious! I will NEVER look at Cindy, I mean Cinderella in the same light again...Nasty B-i-t-c-h! Nah, she did what she had to do, to Survive. Ah, Becca, you picked up on Cindy's bitterness which she tried so valiantly to hide. You are so perceptive, m'luv. Delighted that you found this fun and amusing. Hope the stitches hold. Thanks for dropping by. oh what fun, Cindy a bit bitter? rear end of a horse! I am in stiches... as always you amuse. Nellieanna, m'dear, thank you for loving this. "Flows like honey," what a lovely comment. Funny you mentioning that poor folks can still afford Disneyland (west coast) and Disney World (east coast). When I was there recently, the entire gigantic parking lot was filled and admission is not inexpensive @ $99 per adult. But it is worthwhile and wholesome entertainment for the entire family. The wicked step-sisters had no health insurance whatsoever and have been reduced to begging on the streets and living under bridges. Hilary, m'luv, delighted you found this a great story with a great ending. The Brothers Grimm' endings for most of their fairy tales echoed their name - really GRIM! Wait 'til you read what I learned about Red Riding Hood. And the Three Little Pigs. Coming soon. Hi, Stacy, random happenstances are my favorite kind. I was astonished to run into Cinderella but when you think about it, where else could she find employment so easily in today's difficult job market? Thanks for loving the interview. Knew you would find lots that is new. As for her real name, while her beloved father was alive, he called her 'my beautiful Ella.' It was her mean-spirited stepsisters who gave her the 'cinder' appellation. Hi, Peg. What a lovely comment - 'a refreshing breath of fresh air.' You do know the right things to say, m'dear. Yes, fairy tale princesses are not exempt from paying taxes - unless their last name is Buffett! So happy that this was your favorite version. You made Cindy happy, too. Hi, amillar. I must admit I helped Cindy out with that description. She only knew of un-constipated platypi. So happy I could solve your wonderment. Thank you for visiting and your charming comments. Delighted to share Gloria Gaynor with you. Hi, Alastar. Delighted to learn that you speak several languages including Cha Cha, and that my 'shocking?' interview with Cindy made your night. Oui, the SPAMM must have been horrendous - especially for the unlucky moles. True, all's well that ends well. I'll have to pass your suggestion about haunting houses on to Drizella and Anastasia. They have had difficulty finding secure employment. Probably because they want to be PAID! Hi, Violet Sun. So happy I could provide you with the details of Cinderella's true story. Yes, economic circumstances have humbled this once proud princess and now she has to work and pay taxes like the rest of us humble peasants. Thanks for having fun reading this. I simply love it. It flows like honey and, even though the poor couple were hit with the economy, at least all the poor folks can still afford Disneyland so Cindy can earn a living for her family. Did the wicked step-sisters have enough Health Care provision to take care of their blindness, I wonder? Great story doc and a great ending! Thanks too for reminding me of the original ending.I do remember it, but it was long ago and far away. Cheers! What a random happenstance for you to have run into Cinderella at all places... like Disneyland. Loved the interview and I have learned so much more about the story inside of the story. Although I have to admit... since she was called Cinderella ( because of playing in the cinders) I wonder what her real name was before that! What a refreshing breath of fresh air. It's good to know that even Fairy Tale princesses have to pay taxes. It brings them so much closer somehow. This was my favorite version ever. Funny, witty, charming, entertaining, informative and eloquent as always. I'm wondering how Cinders knows what a constipated platypus looks like drbj. At least now, I know what one of her ugly sisters looks like - when she's constipated. I always wondered about that. Thank you for another great fun-packed read. It was good to hear Gloria Gaynor again. Oui, Ja and Cha Cha Drbj! Your delightful but shocking interview with Cinderella has made my night; yes it has, despite reading of the infamous and horrid S.P.A.M.M. the lovely Cindy was forced to subsist on. But, all's well that ends well in this celeb packed drbj Cinderella interview. And if you don't mind me saying, those stepsisters are so ugly they could haint a house!! Hi, Astra, how nice to see you here - thanks for stopping by. Delighted this hub had you smiling so much. Terrific and funny, y'know, are two of my favorite appellations. Did Cinderella really say this stuff? Do bears do you know what in the woods? Of course, my dear, would I lie to you? Enjoy the videos - the film is well worth your time. Wow, what a terrific and funny hub. This had me smiling so much. Your interview technique is wonderful. Did she really say this stuff? You got that right, feline, dear. Very clever! But she does seem to enjoy being one of the six beautiful princesses who are admired and photographed daily at Disney World. What a lovely thing to say, Susan, thank you for finding this entertaining and preferring my (and Cindy's) version. It's true, christopher, I have met some incredible people and creatures. And they do make the most entertaining party guests since they are seldom reluctant to reveal all. If you ever find yourself on this side of the pond, I will be disappointed, dear chap, if you don't ring me up for an invite. Hi, teaches, delighted you enjoyed learning the secrets of Cinderella's kingdom. She is a charming princess / queen and was most eager to reveal the real true story. And she sends you her regards. Dear Martie, I knew you would enjoy Cindy's true story and we share a mutual admiration for Gloria and her more than motivating song. What a fascinating storyline you provided in your comment. 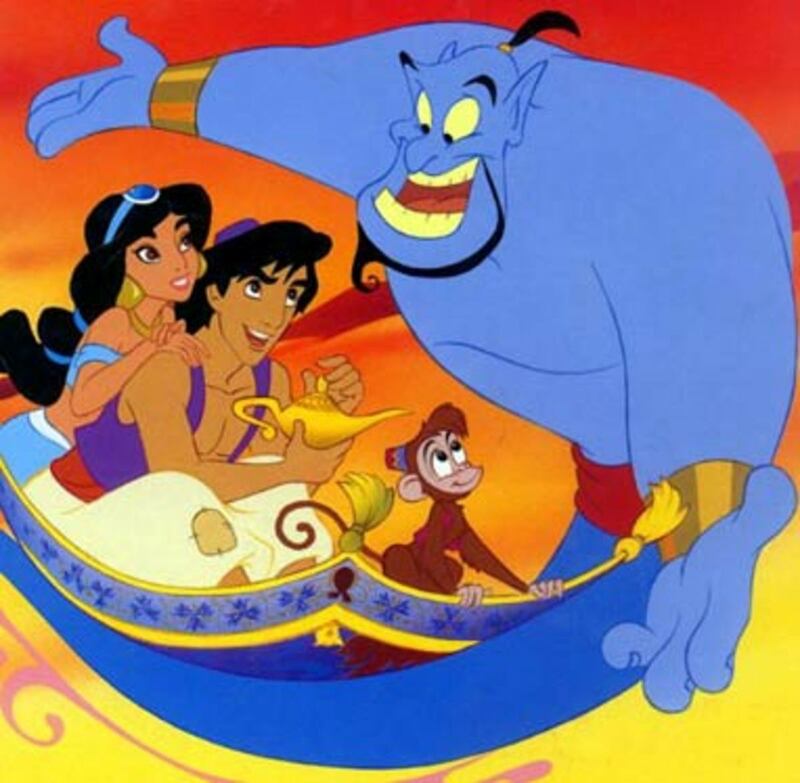 Perhaps one day I will interview a number of fairy tale icons in the same article. The idea appeals to me. Thank you, m'luv, for the inspiration. So you wish you could say, 'Begone,' to the wolves chasing you. Of course you can, m'dear. The point is - do you want to??? Thank you for your clever comments and the Up and awesome. Hi, Rochelle, yes, Cindy was very open and forthcoming and not at all reluctant to share the straight story of her life. The glass slipper - since you mentioned it - was not uncomfortable. It was 'magical' and conformed perfectly to her foot, courtesy of those constantly advertised Dr. Scholl shoe inserts. In the original Grimm story, pigeons, not mice, were Cinderella's closest companions, so it was fitting for them to administer the coup d'gras. Your comment is priceless, pd. Gloria's song has always been one of my favorites - a positive message you can dance to. Thanks for your gracious words. Awww...life is certainly no fairy tale for Cinderella! How delightfully perceptive your comments are, Derdriu. You compared Cindy's varying states of mind and behavior to those displayed by an apparently naïve, seductive Marilyn Monroe in three films that are special favorites of mine. Yes, I was endeavoring to display various aspects of Cinderella's personality. Thank you for noticing. Very entertaining, and I much prefer your version. You know such incredible people, and creatures as well. You must have the most amazing parties. I just love your interviews. They are funny and educational. The best combination in my opinion. Speaking of amazing, Patti, you are pretty amazing yourself with your daily Monday to Friday versions of the Washington scene and the antics of its famous inmates. Yes, I am able to obtain these supernatural interviews because of my persistence and tenacity. If I can interview an alligator and a hippo, then anyone else is fair 'game.' Thank you, m'luv, for the Up and awesome. Hi, Lela. Thanks for enjoying the read of this 'charming' interview with Comderella, a legend in her own time. And still popular today. Hi, Dex. Thanks for visiting and loving my interviews. Glad you found this fascinating. 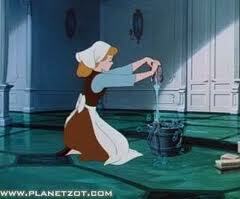 Cinderella has always been a charmer, and the film is one of my all-time animated favorites. Enjoy! Love the up, up and away! Thank you, my friend. Hi, Ruby. So pleased that you were thrilled with Cindy's 'real story.' This enduring fairy tale will last forever. Thank you for you're always so gracious comments and enjoying the interview. Yes, do watch the videos - the animated film is fun. And thanks for the Bravo, m'luv. Nice to meet you, takeasecond. Delighted you were able to take a second or more to vsit Cinderella. Happy you enjoyed the story and thank you for the Thumbs Up! Thanks for sharing the secrets of the kingdom. Cindy is such a charming princess, glad she was cooperative in getting the facts straight. Enjoyable hub! Excellent entertainment, as always, drbj! I enjoyed every word of Cinderella's true story. Oh, and Gloria Gaynor's "I Will Survive" is one of my most favorite songs. Have you heard what had happened to Little Red Riding Hood in the story of the Three Little Pigs? When the wolf blown down the 2nd house, he went for her... And she ran and ran and ran and all of a sudden she stopped and gave him a heluva smack in the face. "What's the matter with you, you stupid wolf?" she asked. "Why are you chasing me? I am NOT in this story." Thanks for getting the straight story from Cindy. I never could understand the glass slipper bit-- must have been reeeely uncomfortable. ........And Pigeons? Hi, Alicia, thanks for enjoying my Cinderella interview. Yes, the original ending was not only Grim(m) but gruesome. 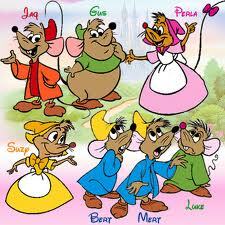 The Disney animated movie was very popular and the two little mice, Jaq and Gus, had leading roles. I know you will enjoy the videos. Thanks for anticipating my supernatural interviews. Haven't yet decided who I will 'dig up' next. Heh, heh. These just get better and better! Up and across the board! Wow!!! I love this interview. As always, you made the story awesome. One might think I am crazy looking at my laptop, laughing and bursting in tears. Hahaha...I love it! Thanks for sharing. DrBJ, What an effective, enchanting, enthralling interview with Princess Cinderella! It's particularly clever how you reconcile her fairy tale ending with the realities of life in Disney World. Additionally, I like the different voices which come through with each mood that Cinderella experiences. But throughout there seems to be a most charming core sound of Marilyn Monroe at her best, in "How to Marry a Millionaire," "Niagara" and "River of No Return." Hi, ishwaryaa, So happy that Cinderella is one of your favorite heroines. Cindy is happy about that, too. And I'm happy about the engaging adjectives you used to describe this interview. Thank you, m'dear, for your gracious comments and the Up. You are amazing. I thinks its fantastic that you are able to go after and get interviews that no one else has ever done. Up and awesome. Another charming interview with a legendary princess. Fun to read, drbj. Hi, jpcmc, nice to meet you and what a cute baby that is on your avatar. Delighted you found this encounter interesting. Snow White would love to have you visit her, too. Hi Dr BJ! I always love your interviews. This one was fascinating. Cinderella is quite the woman!The videos are awesome! Another winner! Voted up, up and away! The Cinderella story will last forever and i'm thrilled you told the real story. You added just enough humor to make it interesting. I am on my way to watch the videos. Excellent interview...Bravo! This was quite the story! Thumbs up! I enjoyed reading your interview with Cinderella, drbj. Cindy sounds like an interesting character, but the original ending to her story sounds gruesome! I've started watching the videos and I'm looking forward to finishing them tomorrow. I'm also looking forward to reading your next supernatural interview! An extremely witty and smartly conducted interview with one of the most popular heroines of fairy-tales! 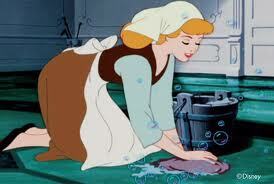 Cinderella is one of my favorite fairy-tale heroines. You peppered this engaging interview with a dash of humour and a dallop of fun! Well-done! Thanks for SHARING. Funny and Interesting. Voted up. Such an interesting encounter at Disney World!